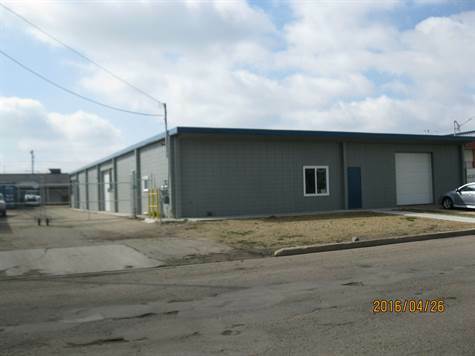 A WELL MAINTAINED 7200 SQ FT CONCRETE BLOCK BUILDING ON AN 18,000 (0.41 ACRE) SQ FT LOT. Many recent upgrades: spray foam urethane roof covering; 4 Renoir overhead heaters; new hot water tank; electrical wiring; chainlink gate; 3 roll-up doors; exterior paint, interior paint. The building is demised into three 2400 sq ft bays which are metered separately. The building is positioned to make maximum use for parking and storage. There are many uses for this building as it is zoned IM.